There’s no better way to enjoy a camping trip than sitting back and enjoying all the hard work you’ve put into getting your tent set up and having a roaring fire going. But sitting on the hard ground can get uncomfortable. The best camping chairs can take away that discomfort without taking up a lot of space, because they’re designed to be easy to carry, both in the trunk of your car as well as to and from your campsite. Having the best camping chair means not having to deal with a lot of extra bulk or weight, while still being able to support your own weight and deal with the rigors of camping life. 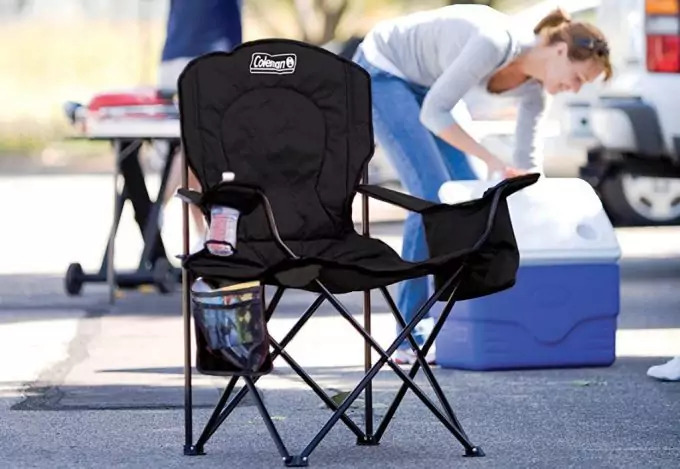 So instead of going for the cheapest one you can find, here are some things to look for, as well as a list of the top rated camping chairs in the market to help make your decision easier. When you think of a camping chair, you probably picture a foldable chair with fabric seat and backing, and you would be exactly right. But not all chairs are made the same, so knowing the features that are available will help you know what to look for. Many camping chairs are now easy to carry and are even easier to set up, so what more could you want? 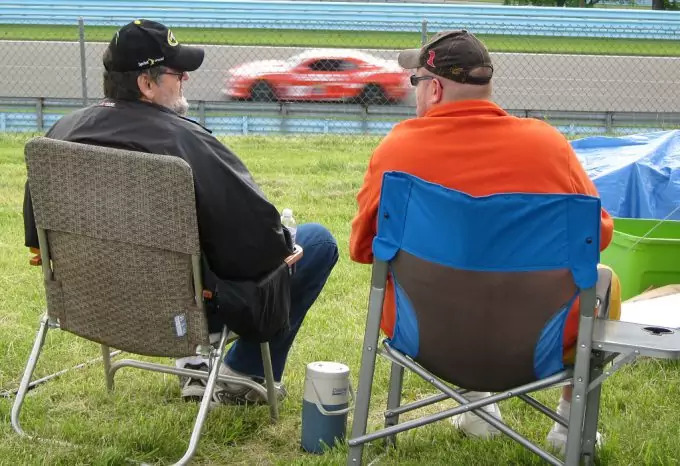 The modern age of technology is always seeking to improve and add more convenience to the camping world, and it’s no different when it comes to chairs. When it comes to camping, there are actually several different kinds than simply going out to the woods. 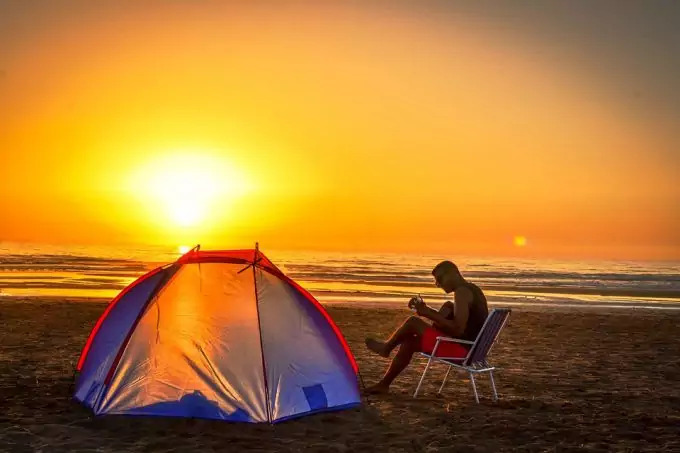 Many people camp in their cars, while others choose to camp at the beach, and being able to deal with these different environments require different kinds of camping chairs. Car camping/Tailgating: because you’ll have everything at your fingertips in the back of your car, you’ll have to worry less about traveling very far from your site. This means that bulk and weight probably aren’t a big concern for you. Having a slightly more comfortable chair with a bit more bulk to it isn’t going to undermine your camping plans, so you’re free to invest in whatever camping chair you find the most comfortable. Beach: being out in the sun and surf all day can be a great way to relax. But at the end of the day, you want to relax and get the load off your feet, maybe even work on your tan. A great camping chair is one that is made out of mesh, as the winds at the beach can be a lot higher and you don’t want your favorite sitting accoutrement to be swept away. You should also choose a lighter color, as dark colors soak up a lot more sun and heat and can burn you when you sit down. 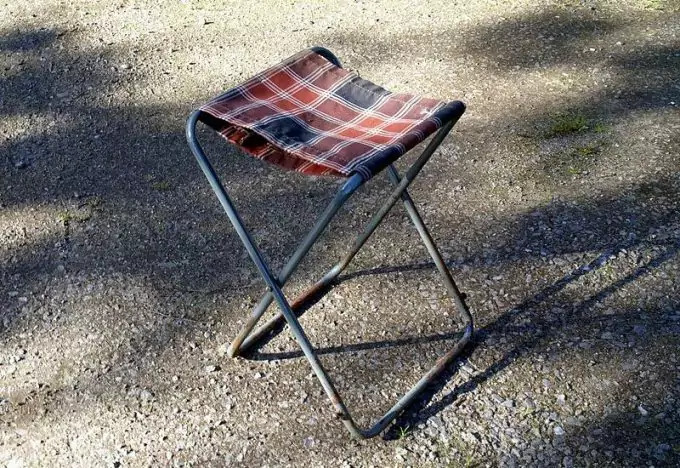 A chair with good stability is a must, as sand isn’t very stable or level, and falling flat on your face probably wasn’t in your camping plans. And because you may be walking some distance from your car, the weight of your camping chair is a little more important. Keep in mind how far you’ll be walking from your car and ensure that you’ll be able to carry everything with very little difficulty. 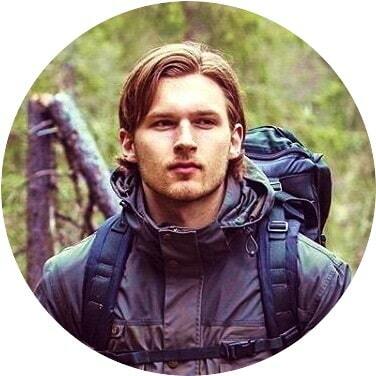 Backcountry Hiking: some people are more invested in the camping experience and don’t want to stay in one place. Backpacking can be a great way to take in nature as well as get some much needed exercise, but that means packing light while still having everything that you need. Having a comfortable camping chair that you can relax in when you’re on a break can really take a load off your aching feet. Light and small chairs are your best bet, as it’s likely you won’t be resting for very long, so anything that sits you comfortably for a short period of time should be at the top of your list. 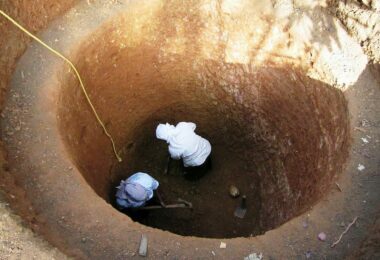 Other considerations to take into account are the weather where you’ll be, whether you’ll be traveling with children, and your personal height. There are a wide variety of camping chairs with extra features to accommodate your every need and keep your comfortable on your outing. 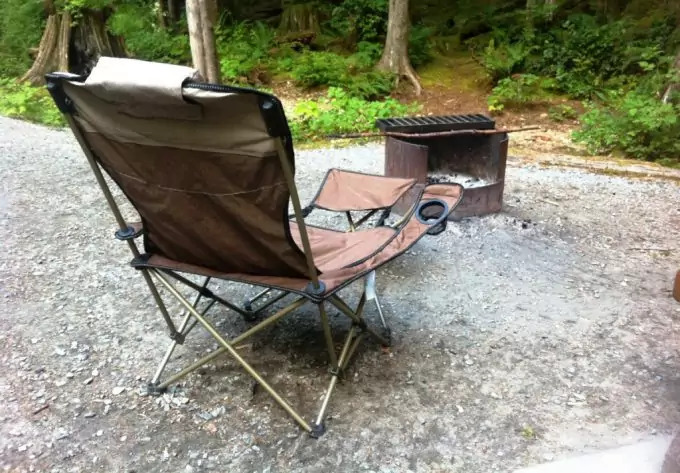 The kinds of camping chairs on the market fall roughly into two different categories: traditional and portable. 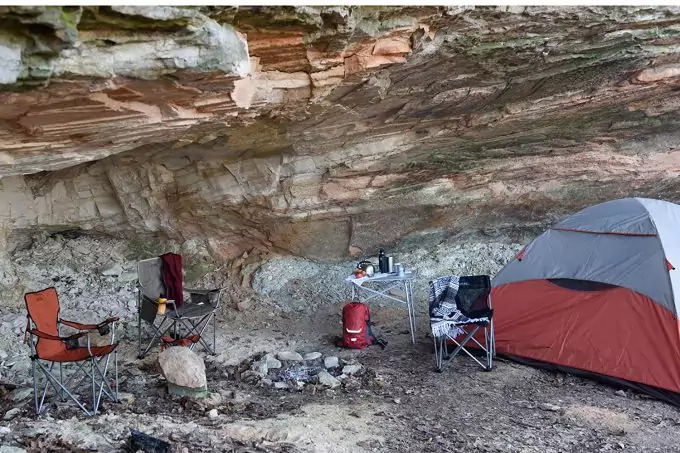 Traditional camping chairs are typically more comfortable and provide more back support, which is great for those who have already set up their tent, got the fire going, unpacked all their gear, and done some site investigation. They’re also a bit higher off the ground, making it easy for you to get in and out of. These were designed with lounging in mind, but the extra comfort does come at the price of being a little heavier. If you’re traveling as a family, the burden of carrying can be shared, but strong considerations should be taken if you’re on your own. If you feel you can deal with the extra weight, then getting a traditional camping chair is for you. These kinds of chairs are also the easiest to set up: simply pull apart the two opposing legs of the chair, and you’re ready to sit. They’re also easy to fold up and store away when they’re not in use. Portable camping chairs are a little more complicated, and were designed with light weight in mind. They’re a lot smaller, a lot lighter, and definitely a lot more portable. However, they may end up being a little less comfortable, especially if you’re a much larger person. Because of their small size, they’re also a little less stable, so using them on uneven ground is not the best idea. If you only need something that you’re going to use for a few minutes at a time, then a portable chair may be exactly what you’re looking for. Backpacking chairs are even smaller than portable chairs, as you need to maximize as much space for your gear as possible. 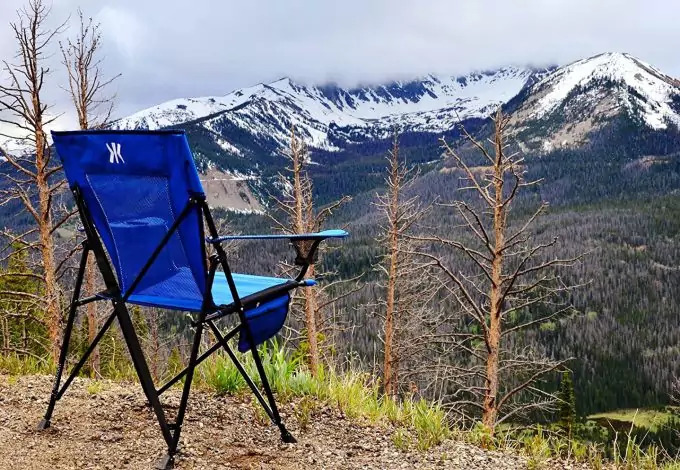 This is the kind of chair you want to take with you if you plan on hiking and need to rest your feet for a few minutes at a time. They’re definitely something to consider if you’re going to be doing more than just sitting around a campfire. Many of the features of comfort that you may be looking for are mostly found on the traditional camping chairs, such as cup holders and extra pockets for storage. But there are some traditional chairs that also came with detachable footrests, sun umbrellas, bottle openers, and even coolers to keep your drinks. These may not be features that everyone looks for, but they’re definitely convenient and can help you save space on the items you pack into your trunk. 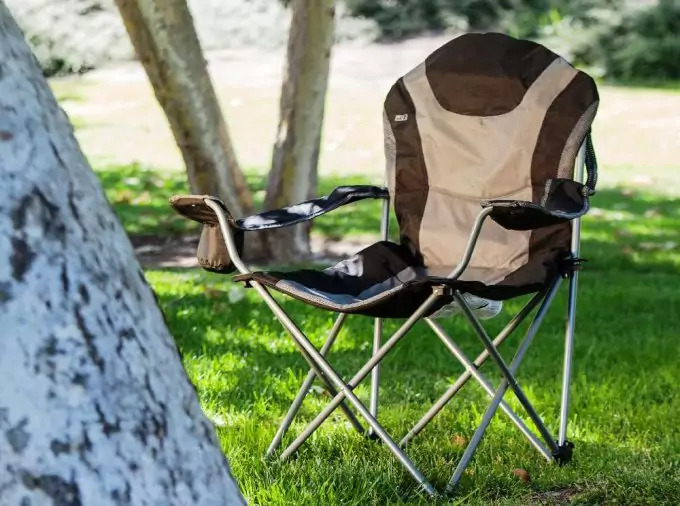 Now that you know about the different kinds of camping chairs that exist in the market, there are some characteristics you should look for to help you make the best purchasing decision. The first of all, of course, is comfort. There’s no reason to get a chair that feels like a bag of rocks when you sit on it. Trying out a few chairs at a sporting goods store will help you to figure out what feels right and best fits your figure. Look for chairs that some amount of mesh incorporated into it in order to provide ventilation and ensure that you’re not sticking to the fabric of your chair. Sitting in a chair soaked in sweat isn’t at all comfortable either. You want a chair that’s durable so that it can withstand anything that happens on your camping trip. But durability means a higher price so don’t walk away from chairs that are a bit more expensive than you bargain for. You’ll want a chair that can last for multiple seasons and conditions, so you want sturdy materials that won’t break after the first use. Metal is definitely better than plastic, but may be more costly and a little heavier to carry. After each use, it’s best that you inspect your camping chair at the joints to ensure that it’s still in good working order. The point of a camping chair is to be able to relax, and you can’t do that if you’re struggling to put the thing together. Look for chairs that require little to no assembly to put together, and you’ll be set. The more moving and separate parts that there are, the easier it is for things to break or get lost in the packing and unpacking process. Another important feature is storage. The less space your chair takes up, the more gear you can pack into your trunk. Chairs that are easier to store also means making less trips to and from your car as you set up your camping site. Additionally, camping chairs that come with storage compartments on them will also make your trip easier, as you can keep your keys, phone, and other items in your chair as you lug your other gear around. The packing size and weight of your camping chair is essential for not wearing yourself out. Traveling light and not having to worry about your gear fitting will ensure that you stay comfortable and happy, no matter how far you hike from your site. How much room you have in your pack will determine the size chair you get, so choose one based on your needs. 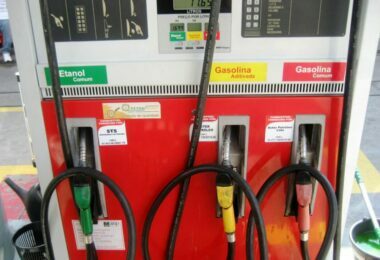 Lastly, usability can be something to keep in mind if you’re not traveling alone. Having to carry a seat for each person can be more than a hassle, so having a camping chair that can seat multiple people may be the way to go. There are camping benches that may be more your style and some of them can hold up to as many as six people. Definitely an option to keep in mind, should you be camping with friends and family. Now that you know what to look for, there are several top rated camping chairs in the market that are more than suitable for your needs, and are quite comfortable. To find out more, see our list of the best camping chairs in the market today. Shopping around can help you to find the best deal, and looking for camping chairs during the off-season months of the year can help you snag the best deals. If you’re a fan of colors, then the Kijaro folding chair comes in such a wide variety, you’ll have trouble picking just one. In bright shades that are easy to spot, you can even buy a different color for each member of your family. But it’s not just the colors that have people raving about this chair. 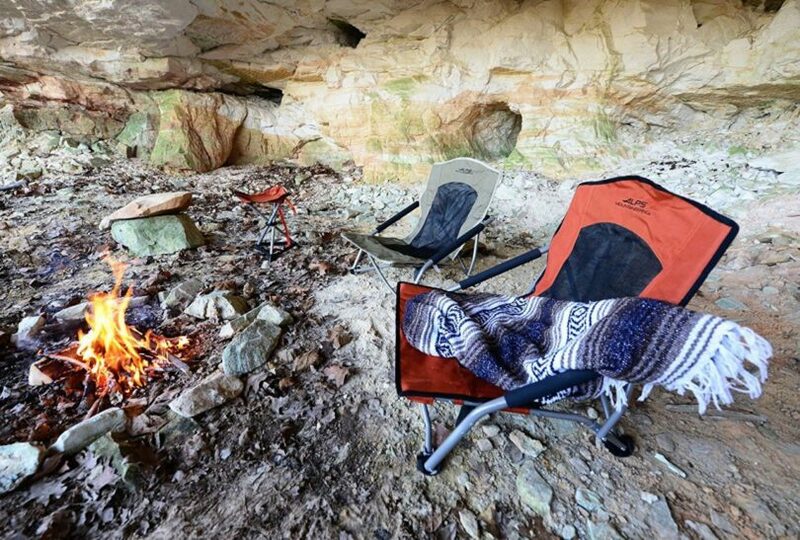 The Kijaro camping chair has been rated as one of the most comfortable chairs in the market. It has sag-free seating with excellent back support that allow you to relax after a hard day at work or hiking. It has great ventilation and it is very lightweight, so you won’t have any problems lugging this chair around. The built-in carry strap makes it even easier to carry around, and will keep all the legs in place so that you’re not struggling to keep everything together. The KIjaro is easy to set up, with a lock and unlock button that holds everything in place, and there’s also a cup holder that can hold as much as a 12 oz can of soda. The storage itself is small, only capable of holding your keys, phone, and some other small items, but it’s better than no storage at all. And at an affordable price, this chair is versatile enough to go hiking with, especially if you want to go fishing away from your campsite. Want a chair that’s a little cushier and comes with some extra perks? You might be interested in the Coleman chair with cooler so you can sit in style and have your cold drinks on hand. It’s a solid chair at a great price, and provides a lot of functionality, no matter where you’re camping. It would be great to take to the beach where you always need cold drinks on hand, or even in your backyard while having a cookout with family and friends. One downside is that it doesn’t have a lot of back support, so you won’t be able to sit for long periods of time. However, at being just under ten pounds, it’s easy to carry around, and even easier to set up. The cooler itself can hold up to three cans of soda, and the added cup holder makes it easy for you to keep your cold rink on hand. The side storage pocket also provides room for your other things, such as a book, your sunglasses, sunscreen, keys, wallet, phone, and many other things. That’s just how spacious it is. Be aware that this pocket is only made of mesh, so don’t put anything too heavy in it or it’s going to start showing signs of stress. Like this product? Then you can buy it from Amazon. You don’t see a lot of camping chairs that can actually recline, but this camping chair does just that. If you want to relax in comfort and style, you’ve found the perfect chair for you. 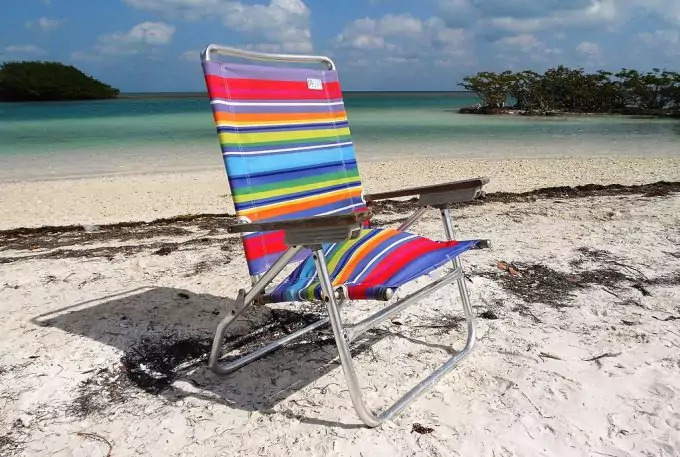 It’s a beach chair that comes with a cup holder and a carrying case for easy portability, and the steel frame is strong enough to hold up to 350 pounds. There’s also a pocket on the back of the chair to make it easy for you to store your things and keep them out of the danger of being broken. It’s just under 10 pounds so it’s easy to carry, but the bag that it comes with is reported to be a bit flimsy and will rip quite easily if care isn’t taken with the zipper. Like this product? Then you can buy it here. Camping outside means having to deal with the sun, but this camping chair can tackle that problem without any effort on your part. It comes complete with a canopy to keep the sun out of your eyes so that you can stay comfortable. Make sure you also read our article reviews of the best sun hats to protect you from the heat. It’s also adjustable, so as the sun progresses through the sky, you can always stay shaded without having to give up your time lounging outside. It comes with two cup holders, the fabric is water-resistant, and it won’t accumulate any stains. It is a bit on the heavier side because of the added canopy, but it can hold as much as 225 pounds, which is more than enough. This chair is mostly recommended for beach camping rather than the rugged environments of the woods. The price is definitely worth it, as this is considered the sturdiest and most comfortable traditional camping chair that you’ll find on the market. It’s definitely cushy, with a cup holder in each arm rest, and can hold up to as much as 800 pounds. That’s a lot! That means you can even share this chair with a friend, as the seat alone is about 3 feet wide, or, if you’re feeling selfish, hog all of that lovely sitting space for yourself. It weighs a little over 13 pounds, so it’s not a chair you’re going to be hauling long distances, but it’s perfect for lounging by the fire and taking in the sights as the day passes by. The side pockets allow you to keep your favorite things on hand and off the ground. Being comfortable and allowing yourself a break to rest is a great way to ensure that you’re enjoying your camping trip, so why not have the best camping chair with you so you can make the most out of it? Sore muscles and aching joints are a regular part of camping and hiking, but there’s no reason you can’t spoil yourself with an amazing chair that will take the load off. The above-mentioned chairs are a good place to start considering what kind of chair you’ll need to look for, just as long as you’re not buying the first cheap one you see. Take a look at our list of camping essentials to make your trip enjoyable, do read it before you leave on your next trip.